Today was all about Damijan Podversic all day. He was originally supposed to just meet us for a tasting. 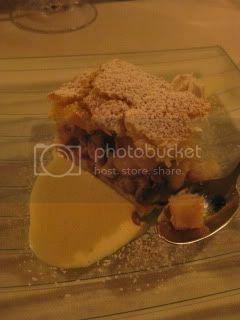 But, instead, he also took us on a little tour of the town, gave us a tour of his vineyard, treated us to wonderful homemade lunch, and took us to his friend's cheese farm and factory. 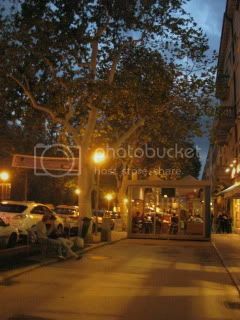 At night, even though Damijan couldn't join us for dinner, he kindly gave us a recommendation of a local restaurant in Gorizia, in advance. 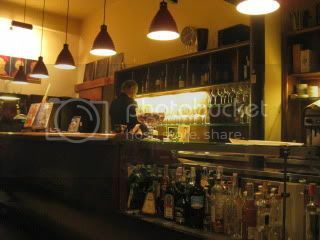 And, because the restaurant is closed on Sundays and Mondays, he negotiated with the owner (Damijan's friend) to specially open on Sunday because of us! 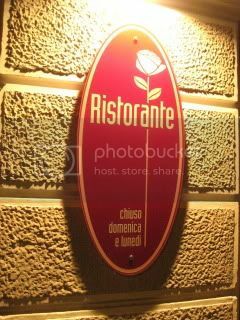 So, we got to dine at this fine restaurant, Rosenbar Ristaurante in Gorizia. 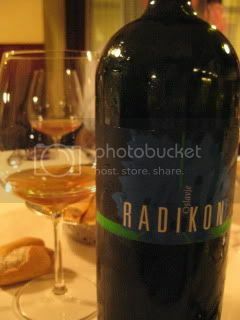 We had a wonderful tasting course dinner with special local wines of Friuli. 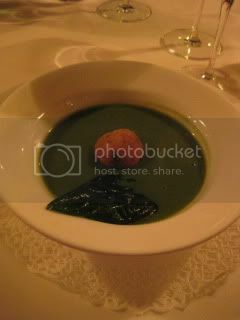 Soup of sclopit (local leaves) with fried dough. 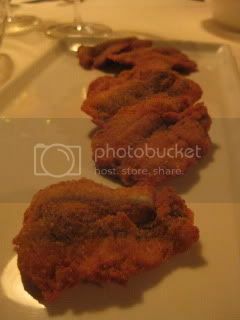 Sardines two ways (raw in vinegar marinade, and fried in escabeche-style). 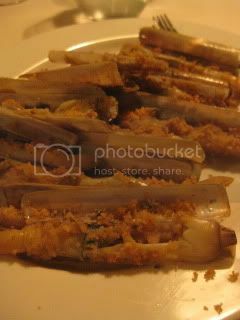 Oven-roasted razor clam was so juicy and nice. 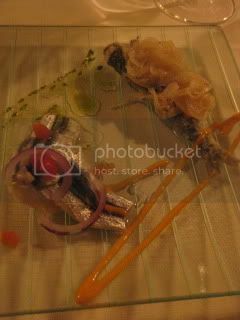 We also had lightly seared squid dish, but I forgot to take a picture (it was so delicious!). 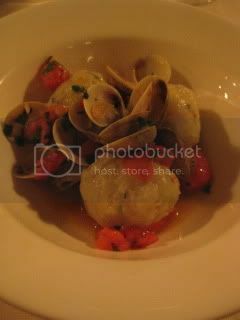 Fish gnocchi with fish broto and clams. 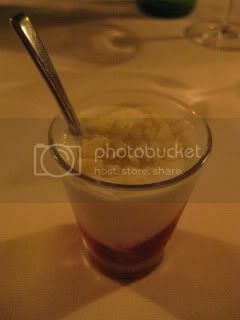 Yogurt with berry sauce, and Torta di Noci e crema chantilly. 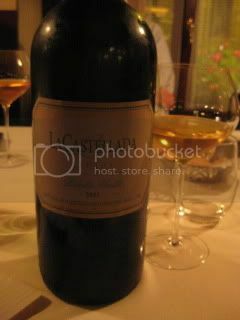 The wine lineup was the top notch, then the amazing things happened. 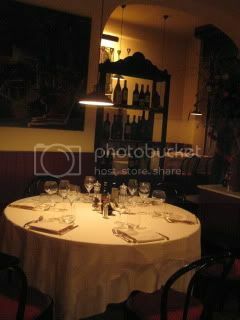 There were Nico Bensa (La Castellada) and Stanko Radikon also dining in the restaurant with a group next to our table! 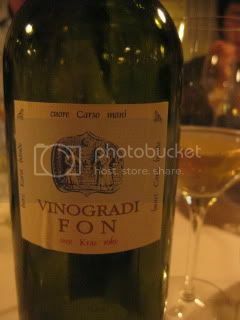 For those who love Friuli wines, they are like rockstars of winemakers. So, our group got so excited! 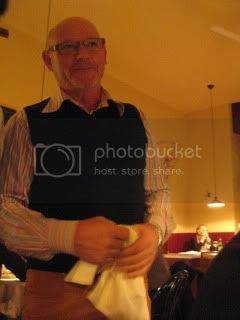 Our guide was a friend with both of them, so they came to say hi to us and even sent bottles of their wines to our table. How sweet and how surreal the experience was! So, here's the lineup of the wines of the night. 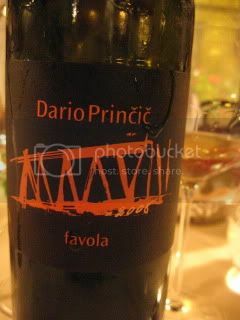 2008 Dario Princic, "Favola" (Venezia Giulia)...blend of Chardonnay, SB, PB, PG, Ribolla, Tokai. 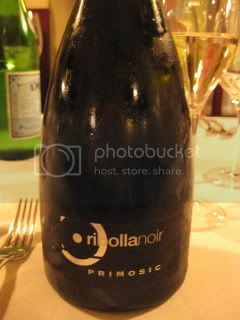 It was only the first night, but our dinner was filled with the beautifully prepared local food and wine lineup from the top producers of the region. How fantastic. 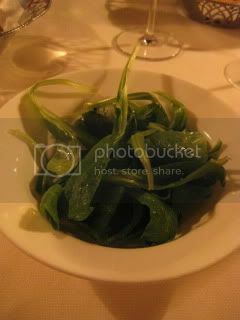 I was also very (nicely) surprised how sophisticated the cuisine was. 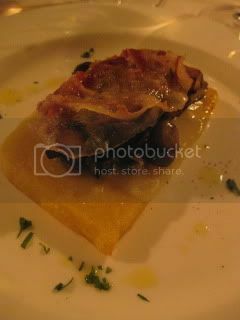 I expected mostly meaty rich dishes, like I experienced in Piemonte, but there were mostly local seafood (from Adriatic Sea) and fresh vegetables, and no meat tonight! Fantastic, indeed.